Recognized for its continuous innovation and being a game changer, Polin now has the ability to grow even faster as it formally is organized under Polin Group. A milestone for the Polin brand took place recently when the process required to finalize the establishment of Polin Holding under the brand name Polin Group was completed. All of the companies and brands incorporated within Polin Group will continue to be housed under one of four main umbrellas: Amusement Attractions, Composites Manufacturing, Park Development and Funtastic Parks. Founded in 1976, Polin Waterparks has served as a world leader in the design, production, engineering and installation of waterparks and water play structures while differentiating itself from competitors with its innovative solutions and R&D focus. "This change recognizes the new role that our company plays in the global amusement industry today," says Dr. Baris Pakis, president of the Polin Holding. "Our company is a worldwide and recognized leader in the market. Many know us as the 'game changer' due to our innovation and success in completing 3,000 waterpark projects in 105 countries. We expect that our company can become even more successful in the future." The company's knowledgeable and creative team of engineers and designers has helped Polin gain invaluable experience worldwide. Each team member shares its intelligence and successes with all other service units within the company, each now organized within its own structure and working toward the overall vision: to be "Always Innovative," deliver "Worldwide Superior Quality" and maintain a level of "Technology Leadership" for each individual brand. The internationally successful brands that Polin Waterparks created within its own organization is what led to the firm reshaping its organizational structure and developing into a holding company. With this renewed organizational plan, Polin Group aims to increase profitability, efficiency and the scope of the group by offering more integrated solutions. Ultimately, the new organization will allow the business to meet the varying expectations for best-of-class products and services in the amusement parks industry. Funtastic Parks, which includes Funtastic Aquariums, Funtastic Waterparks and Funtastic Amusement Parks. At the top management level of Polin Holding, Dr. Baris Pakis has been named President, and Basar Pakis is Group CEO. Four units will be deliver support services to Polin Holdings: Business Development Directorate, Marketing and Corporate Communications Directorate, Strategy and Human Resources Directorate and Financial Affairs Directorate. Within this context, there have been some organizational changes. Dr. Kubilay Alpdogan has been appointed to General Manager of Polin Waterparks. Before his assignment to General Manager at Polin Waterparks, Dr. Kubilay Alpdogan has been the Director of Sales and Design for 5 years and the Manager of Sales and Design for 5 years respectively. In his 10 years of Polin Waterparks experience, he has been managing the domestic and global sales teams, architectural and conceptual design teams. Before Polin, Kubilay had 6 years of Consumer Products and HVAC Industry experience as Sales Team Leader at Arçelik-LG Electronics and more than 3 years of Correspondent Banking and Finance experience as International Relations Specialist at EGS Bank. Dr. Kubilay is Industrial Engineer holding the degrees of MSc in Engineering Management and PhD in Industrial Engineering. 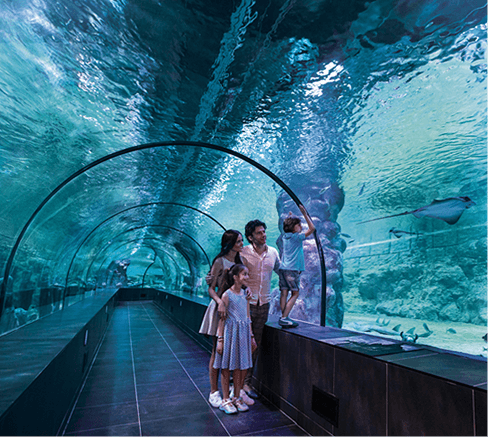 Also Bilge Pakis has been appointed to the position of Sales and Design Director after having served as Design Manager of Polin Waterparks for 13 years. Polin Group Business Development Director Eyup Ispiroglu will be responsible for creating new products and services for the group companies. Marketing and Corporate Communications Director Sohret Pakis will oversee marketing and communication activities of the Polin Group. Strategy and Human Resources Director Muge Tolunay Gundogdu will handle all processes related to human resources. And Financial Affairs Director Erdal Bulut will manage all finances. Basar Pakis, CEO of Polin Group says the new organization will allow clients to receive all needed solutions under one umbrella with many value-added services. "We will deliver the synergy that comes from a multi-leveled firm. From our fully qualified human resources staff to our self-improved organizational structure, we are truly a one-stop shop for our clients and partners."